In Boston, where I live, April marks not only the beginning of spring but also the all-important Boston Marathon. Two years ago the iconic event was shattered by an explosion which killed three people and injured many more. Subsequently a police officer was also killed. Earlier this month a jury found Dzhokhar Tsarnaev guilty of the crime on all thirty counts. 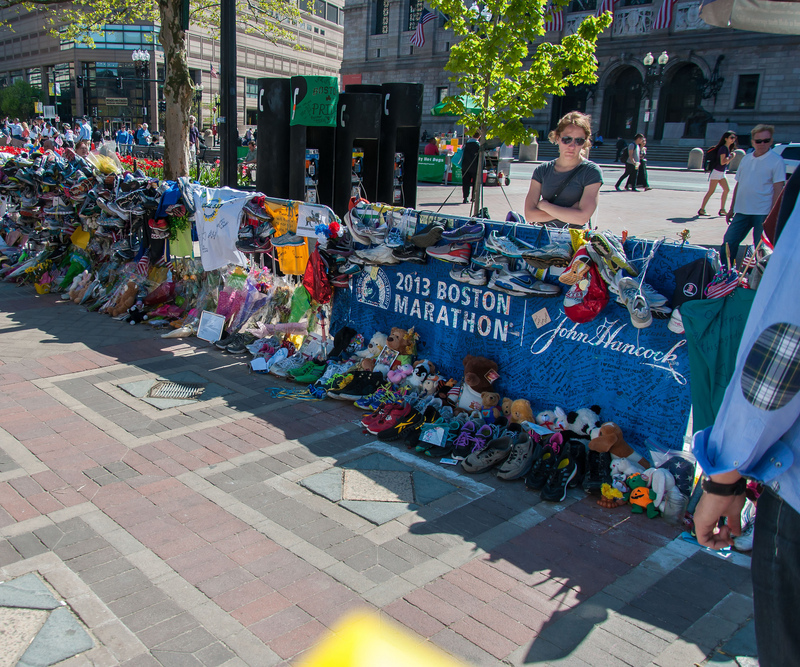 Now, as spring bursts forth in Boston and as last week witnessed the 119th Boston Marathon, the same jury deliberates Tsarnaev’s fate. Will Tsarnaev spend the rest of his life in prison or will he die for his crime? News reports about the trial and the jury’s deliberations spark a fury online. Tempers rise as commenters express their opinions about what they believe should be Tsarnaev’s fate. For example, when the Catholic bishops stood in front of the courthouse expressing their opposition to the death penalty, many responded with outrage: “He should be made to suffer as much as he made others suffer.” “Let him fry.” “Torture him and then kill him.” Similarly, when Bill and Denise Richard, the parents of the 8-year-old boy killed by the explosion, wrote a letter expressing their desire to take the death penalty off the table, their views provoked ire. What is happening in the heart of the person who advocates one approach or another? It’s easy for us to believe that by hating a person we despise, we separate ourselves from evil and differentiate ourselves as good. Yet the opposite is actually true. When we give in to hate, we begin to become like what we are hating. When hatred and violence grow in our hearts, we move closer along the spectrum toward the object of our hate. I notice the seeds of vengeance within my own heart in simple daily circumstances. When someone cuts me off in traffic, my first impulse is to get even by passing and cutting in front of him. Or when my nephew manipulates me, I feel immediate anger and a desire for vengeance. When I notice these feelings, I have to breathe and get re-grounded, asking myself, “What do I really want to accomplish here? Who do I want to be in the world?” And then I can let it go (at least most of it, most of the time). It behooves us, when we find ourselves seeking vengeance, whether toward someone who committed a heinous crime or toward someone who cut us off in traffic, to examine our hearts. What is our motivation? Are we becoming what we hate by feeding the vengeful, angry feelings? Who do we want to be in the world? Which wolf do we want to feed?